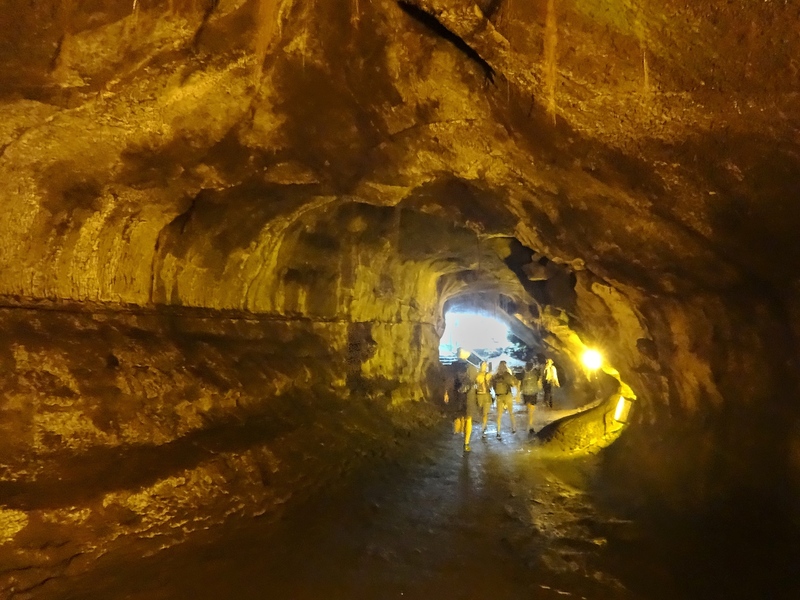 Thurston Lava Tube (Nahuku) is not the only lava tube but it is by far the Big Island’s most popular lava tube. The lava tube is part of our guided volcano tours and the short round trip hike is about 1/3 mile long and takes about 15 minutes. Before we reach the entrance to the >400 year old cave, we walk down a few stairs into a small crater filled with a rainforest out of lush ferns and native Ohia trees. A short bridge connects the trail to the beginning of the cave. The slightly sloped tube has electric lights installed and consists of connected chambers of varying size. In some areas, the ceiling is less than 6 feet high. Water droplets can drop down but it is not necessary to bring a rain jacket unless it is raining outside. 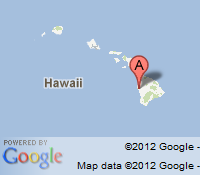 The natural floor of the lava tube is fairly even but there are puddles which should be avoided. We reach the slippery stairs at end of the accessible portion of the tube after about 600 feet. Back in the rainforest, we start the second half of the walk through lush rainforest filled with exotic plants and birds. The area is also populated with introduced pheasants.